Being a quality oriented organization, we are involved in providing a supreme quality range of Fabric Conditioner. It is a Micro - Crystalline Oxidized poly-Ethylene Emulsion for finishing of all type of textiles, which imparts surface smoothness, abrasion resistance, tearing strength improvement and fibre lubricity to yarn and fabrics. Packaging Size: 50 kg And Also Available In 200 Kg. We are engaged in manufacturing and exporting of fabric softeners used for excellent finish, smoothness to fabric. We have wide range of non ionic & cationic ready to use as well as concentrated flakes and paste which are easily soluble in cold water. Our fabric softeners imparts soft feel to the garments & fabrics. 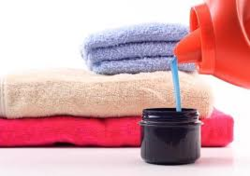 Textile Softeners work by coating the surface of the cloth fibers with a thin layer of chemicals. These chemicals have lubricant properties and are electrically conductive, thus making the fibers feel smoother and preventing buildup of static electricity. In order to keep pace with the never-ending demands of customers, we are involved in offering a wide range of Comfort Liquid Softener. CRUDE GARMENT SOFTENING WAX.CONCENTRATED JUST DILUTE IN COLD WATER 1/10. Reckoned for superior quality flocking auxiliaries such as nonionic Cationic Softeners & Dye Fixers that are manufactured with great precision to ensure it is pure and has accurate composition. 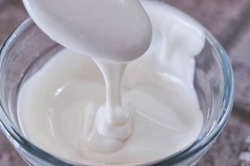 We offer cationic amino silicon, non yellowing amino silicon and hydrophobic amino silicon.